Sharing this wonderfully creative dish from Tieghan at Half Baked Harvest for Chipolte Quino Sweet Potato Tacos w/ Roasted Pomegranate Salsa. What a great idea! 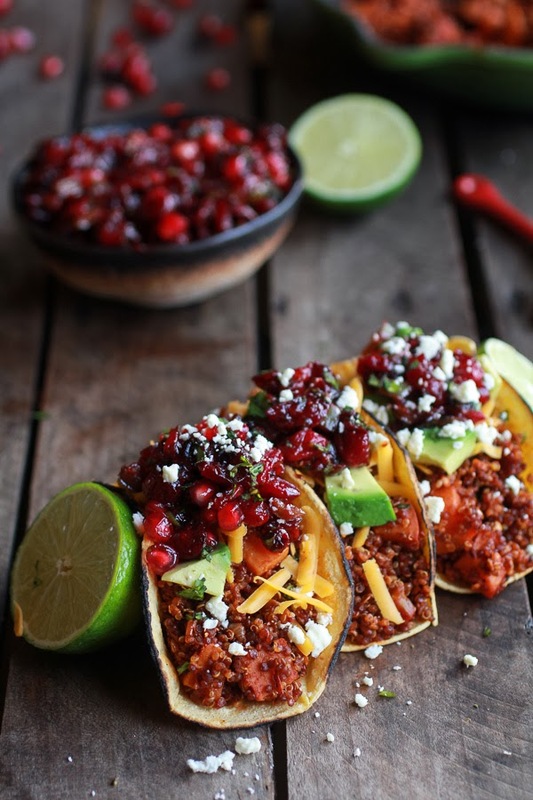 I love how festive the dish looks with the pomegranate salsa ... perfect to serve on a holiday weekend and great departure from leftover turkey! Click here for the recipe and to check-out this wonderful blog....it's one of my absolute favorites. Tieghan is so creative! Image via: Half Baked Harvest - thanks Tieghan!